Progress by the United States and Mexico on rewriting the North American trade pact sent Wall Street to record highs on Monday. 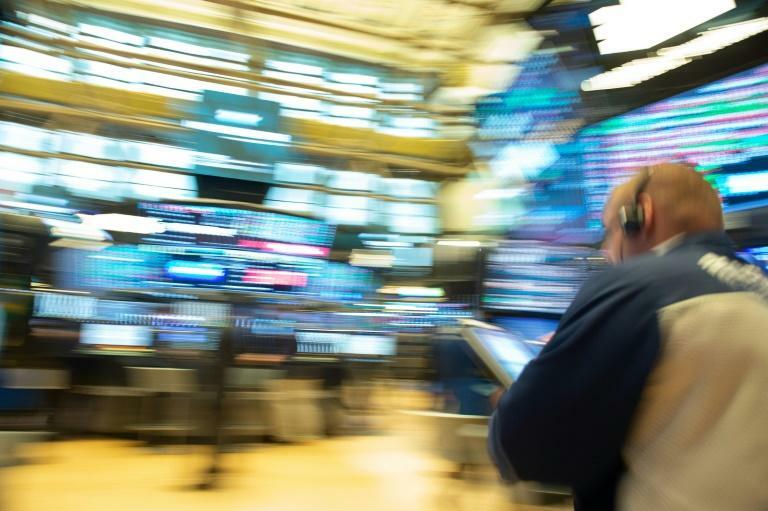 Both the S&P 500 and the tech-heavy Nasdaq Composite forged all-time highs, while the Mexican peso and Canadian dollar jumped against the US unit. President Donald Trump said the United States has reached a "really good deal" with Mexico on updating the North American Free Trade Agreement, or NAFTA. "It's a big day for trade. It's a really good deal for both countries," Trump said. Meanwhile Mexican President Enrique Pena Nieto said that a final deal with the United States and Canada is possible this week. The United States and Mexico had been holding bilateral talks on updating the 1994 three-country trade pact, while Canada had taken a pause from the negotiations. The Nasdaq Composite jumped above 8,000 points for the first time ever after Trump announced progress in the talks with Mexico. Meanwhile the peso rose about 1.5 percent against the dollar, before paring gains. The Canadian dollar rose about 0.3 percent against the greenback. In Europe, trading was thin with London closed for a public holiday. The bank holiday in London was "keeping trading in Europe pretty thin," said London Capital Group analyst, Jasper Lawler. Share prices in Frankfurt closed 1.2 percent higher after a widely watched survey showed business confidence in the German economy bouncing back as US trade war fears ease. The widely-watched Ifo barometer of business confidence rose to its highest level since February as concerns about a trade war between the US and the EU were put on the back burner. "Today's Ifo index strongly suggests that the growth party will continue," said ING economist Carsten Brzeski. French stock prices rose 0.9 percent. In Asia, Tokyo ended 0.9 percent higher, Hong Kong jumped more than two percent, Shanghai added 1.9 percent and Singapore put on 0.7 percent. Seoul gained 0.3 percent and Sydney added 0.4 percent while there were also gains in Wellington, Taipei and Jakarta. In forex trading, the euro climbed, but OANDA trader Stephen Innes said that the it could begin to face headwinds as a result of tensions between Italy's populist government and the EU over Rome's refusal to take in refugees rescued from the Mediterranean.